Mumbai’s food scene is ever evolving. There are new restaurants, cafes and food stalls opening up every month while rising costs and failure to keep up with the competition is compelling many to shut down. 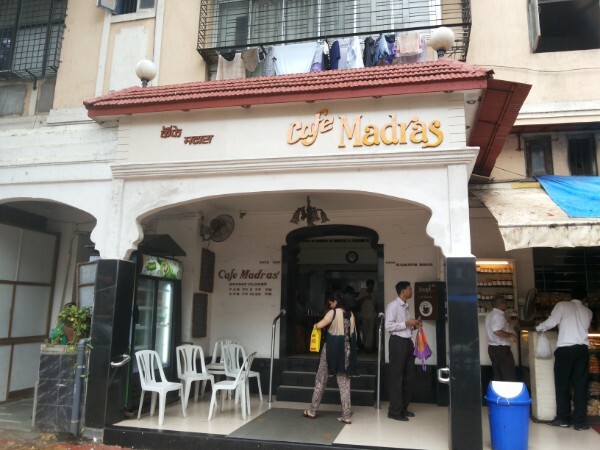 But there are a few iconic restaurants in Mumbai that have stood the test of time and have managed to carve out a distinct identity for themselves. They have seen the city transform from Bombay to Mumbai: from Victorian-era architecture to glitzy towering skyscrapers, from a few street food joints to posh restaurants lining every corner of the street; they really have seen it all. 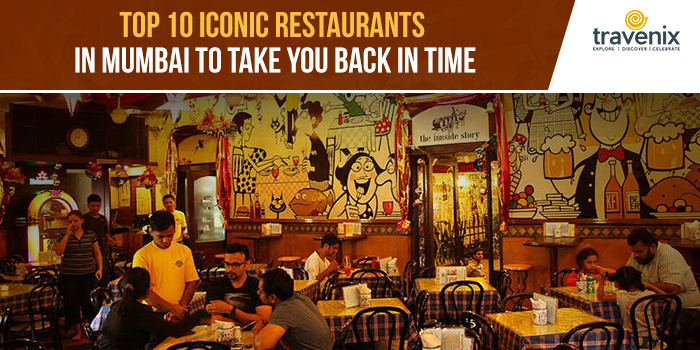 Travel back in time and learn about the rich culture of the city through the eyes of these iconic restaurants in Mumbai with us. 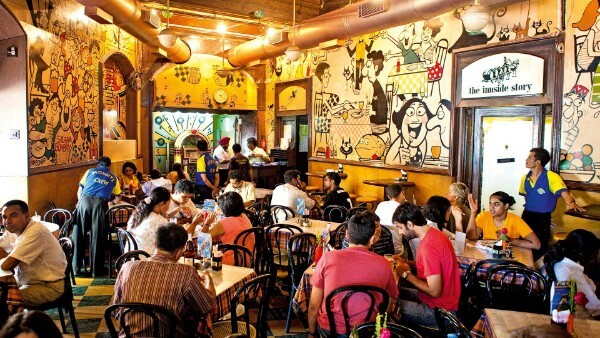 Cafe Mondegar or Mondy’s, as locals call it, is covered in quirky murals that lend its otherwise retro look a modern uplift. Painted by the renowned artist Mario Miranda, these murals tell a story — they depict everyday scenes from the life of Mumbaikars and show what a good evening at the restaurant looks like. Standing tall since 1932, it is one of the oldest restaurants in Mumbai. It was also the first restaurant to house a jukebox in the city. Expect a great mix of classic rock numbers to pep you up while you sip some beer or dig into their kheema pav. 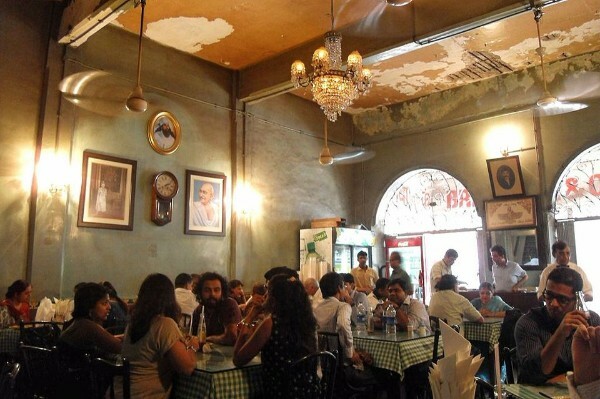 A popular tourist hotspot, Cafe Leopold has been a survivor of the deadly 26/11 terrorist attack. The bloodshed has left bullet marks on its walls, which often arouse the curiosity of the tourists. But that’s not its claim to fame. This cafe started in 1871 was popular long before the incident took place, mainly for its bohemian vibe. 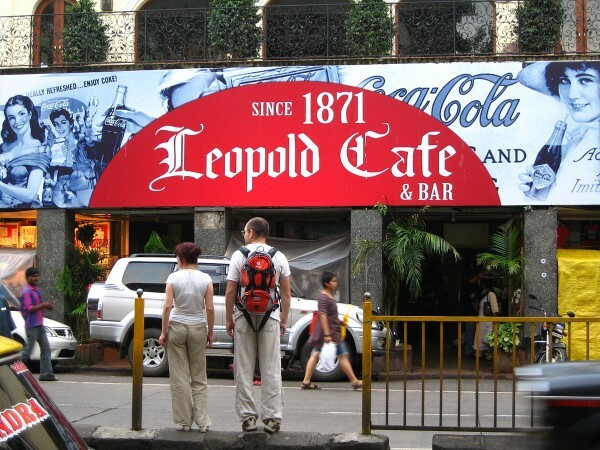 Cafe Leopold was also featured in the bestselling novel ‘Shantaram’ by Gregory David Robert; so fans of the book are naturally drawn to it when they visit Mumbai. 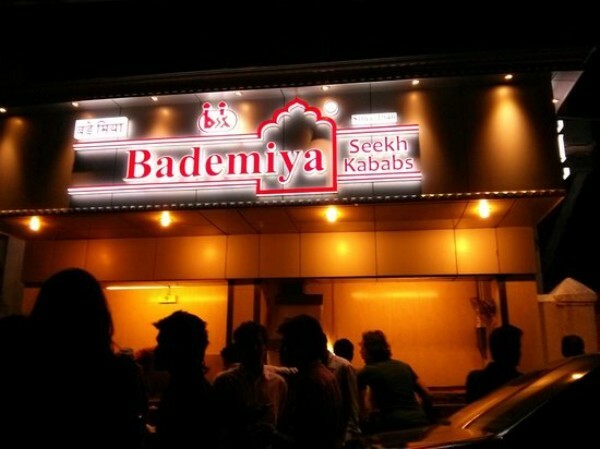 Bademiya is a favorite among all the late night owls who get crazy food cravings at unearthly hours. Originally a humble street stall started by a 13-year-old boy with just Rs 20, it has now become one of the best places in Mumbai to try lip-smacking kebabs. Their Baida Rotis and Specialty Ethnic Curries are other popular dishes there. A word of warning though, the restaurant has a very limited seating area and because of its popularity, it tends to get crowded. 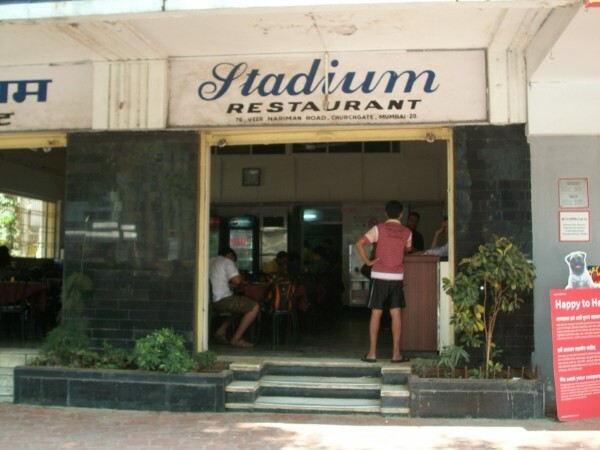 Stadium Restaurant is one of the many Iranian restaurants in Mumbai, and just like the others, it is a popular breakfast place. Located right next to the Churchgate station, it’s a comfortable stop for office-goers who are usually in a rush. Bun Maskas, Irani Chai, Vegetable Biryani, Caramel Custard, Afghan Chicken, Bread Pudding and Chicken Sandwich are the must-haves at this simple restaurant. 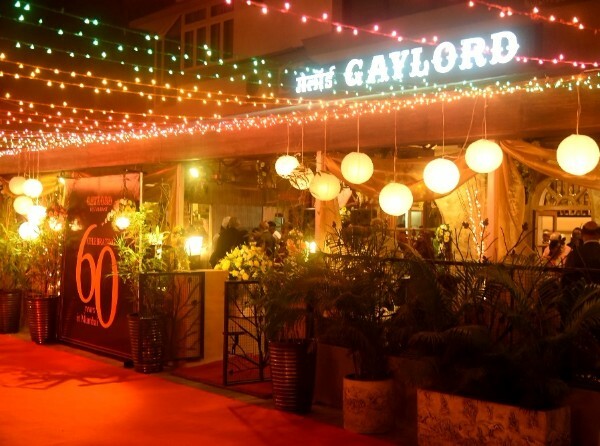 Gaylord was one of the first fine dining restaurants in Mumbai. Started in 1956, its initial customers were mostly those who belonged to the elite community. Its menu has evolved a lot over the years, but their emphasis on quality has remained constant. They also have their own bakery which is a paradise for all bakery lovers. Its shelves are stocked with macaroons, artisanal bread, chocolates, muffins, donuts, cupcakes and more. Known for serving the most authentic Udupi cuisine in town, Café Madras’ filter coffee will take you directly to the streets of Chennai. This humble 75-year-old restaurant sees a long queue of people, right from 7 AM in the morning. So, be prepared to wait for a while. But that’s just a small trade-off for some delicious masala dosas, upma, idlis, and some strong, aromatic filter coffee. Britannia And Co’s colonial-era architecture is complemented with vintage wall clocks, chandeliers, and photo frames. Since the restaurant started in 1923, not much has changed there; the Bentwood chairs that occupied the restaurant a hundred years ago are still there. Their berry pulao, sali boti, and dhanshak are so popular that some customers get them packed to carry it to other cities in India. Established in 1945, Shree Thaker Bhojanalay is located in an unassuming street on Kalbadevi Road. Its ambiance doesn’t have much to offer, but you won’t have time to look around, their thali has so much to hog on. 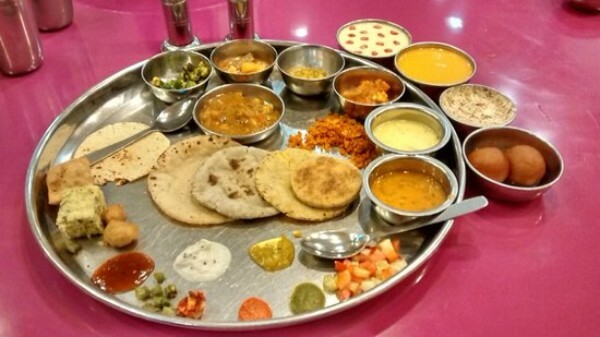 With generous servings of farsans, vegetables, dals, chutneys, dhoklas, khichdi, bhakris, kadhi and a lot more, you are going to have a tough time squeezing in some space for desserts; but do not miss them. A visit to Mumbai’s first licensed lounge bar, Harbour Bar at the Taj Mahal Palace Hotel is like stepping back in time to see how the elite in Bombay enjoyed their drinks. Each one of their drinks comes with a history lesson; the waiters explain how the drinks were prepared back then. Savor fine malts, exclusive wines, exotic cocktails, and delectable global tapas while you enjoy an incredible view of the Gateway of India. Don’t miss From The Harbour Since 1933, the signature cocktail from the Prohibition Era. 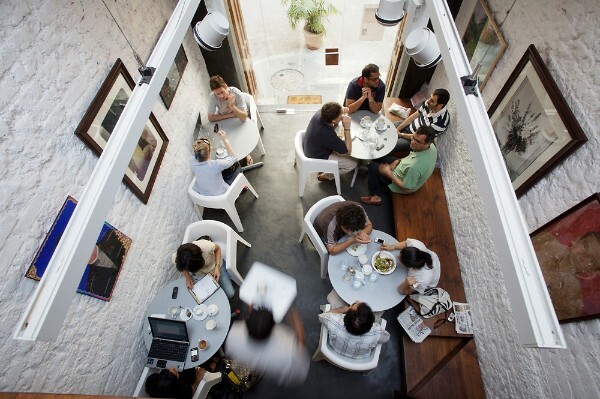 This quaint cafe in the Kala Ghoda area has become a popular spot among the city folks for its splendid ambiance. It is hard to tell that it is actually situated inside a 20th-century barn because its white walls give out a modern, sophisticated vibe. Their fine selection of organically grown, homemade teas, coffees, and freshly-baked treats are especially popular with those who are health-conscious. Whether you’re visiting these iconic places for the first time or the gazillionth time, there is a certain charm about them that you can’t get tired of. Which are the other iconic places that you’ve visited in Mumbai? Share your experiences with us in the comments section below. Ishita Dave loves experimenting when it comes to food. She can hardly finish a full plate of food by herself but that isn't really a deterrent for her when it comes to trying out something new. Travenix 2019 © All Rights Reserved.